Show your inner artist at Color Me Mine. Create a unique keepsake on a ceramic canvas! 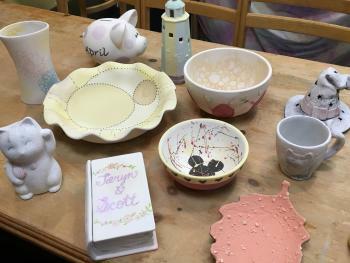 You can pick out the piece you want to paint, anything from a cup or plate to a figurine or a piggy bank. Gather your color palette of paints and take as long as you need to put your creative twist on it. Once you’re done, the Color Me Mine staff will fire your piece to put a nice finish on it and bring the colors to life before you take your piece home. To get more details on this fun and crafty activity, click here. 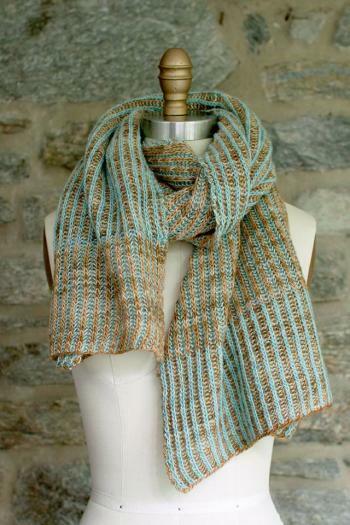 Learn to knit at Knitting Temptations. Whether you’re a newbie or a skilled expert, there is something for you at Knitting Temptations. This location offers the best in luxury yarns and they will teach you how to create a piece you love, with friends and fellow craft enthusiasts! Click here to see their calendar of classes and events. 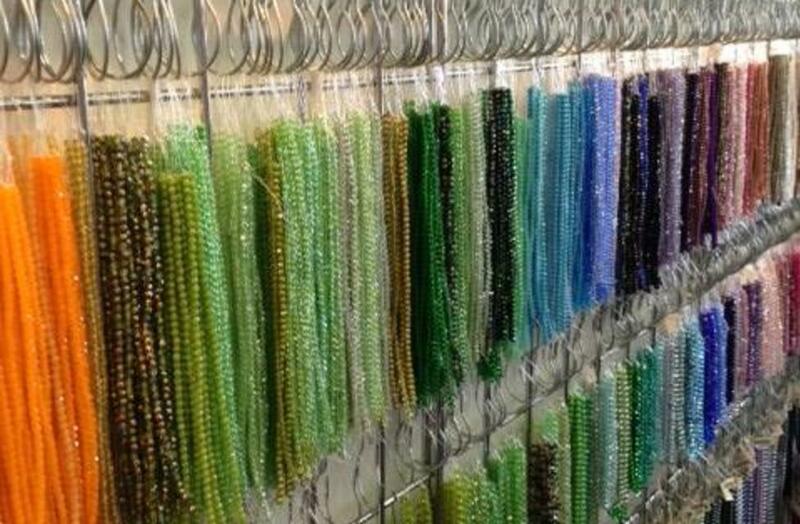 Create a unique piece of jewelry at 1 Stop Bead Shop. 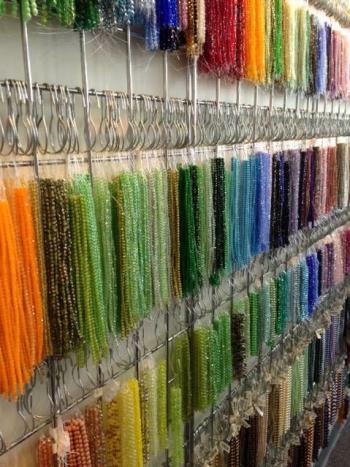 1 Stop Bead Shop teaches the art of jewelry making. Guests can come in to shop for beads, tools and other supplies, take a quick lesson or take a class to learn to create something unique and beautiful! Check out their class calendar to see what is available for beginners to advanced students. Paint a masterpiece at Terra Gallery. This Downtown Dublin eclectic gallery and studio houses a variety of painting, mixed media and sculpture of local, national and emerging artists. Visitors are welcome to come in and see the unique pieces housed in the gallery, but they can also learn to create a little masterpiece of their own! 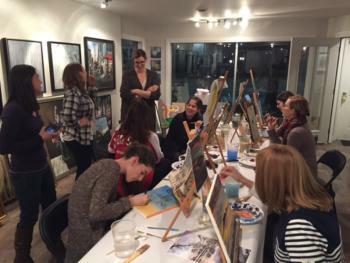 Terra Gallery offers classes for groups or individual artists looking to spend some time in the studio. Check out their website to keep up to date on all their class offerings. Learn to bake and decorate at Our Cupcakery. This charming cupcake shop creates beautifully distinctive cakes, but they also teach you how to as well! A wide variety of classes are offered to teach people of all ages how to bake and decorate some tasty goodies. 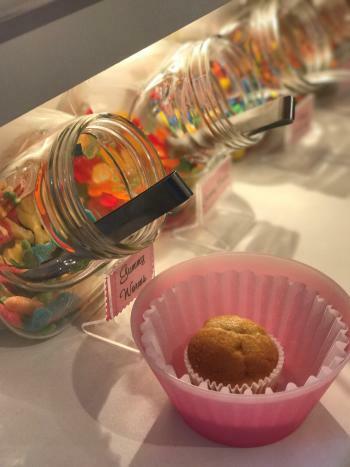 You can also stop into Our Cupcakery during business hours to try your hand at their build-your-own cupcake bar and load your cupcake up with some tasty toppings. Click here for more details on Our Cupcakery and to see class and events schedules. 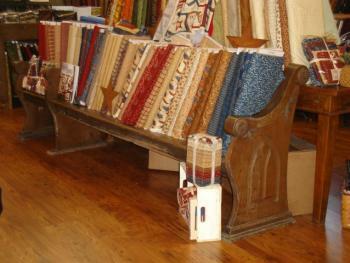 Learn to quilt at Red Rooster Quilts. This is the perfect spot to shop for your fabric needs, but don&apos;t forget that they offer classes for beginners and experienced quilters alike! Their staff can help you create the perfect piece for your home, with a personal touch. Click here to see their upcoming events.